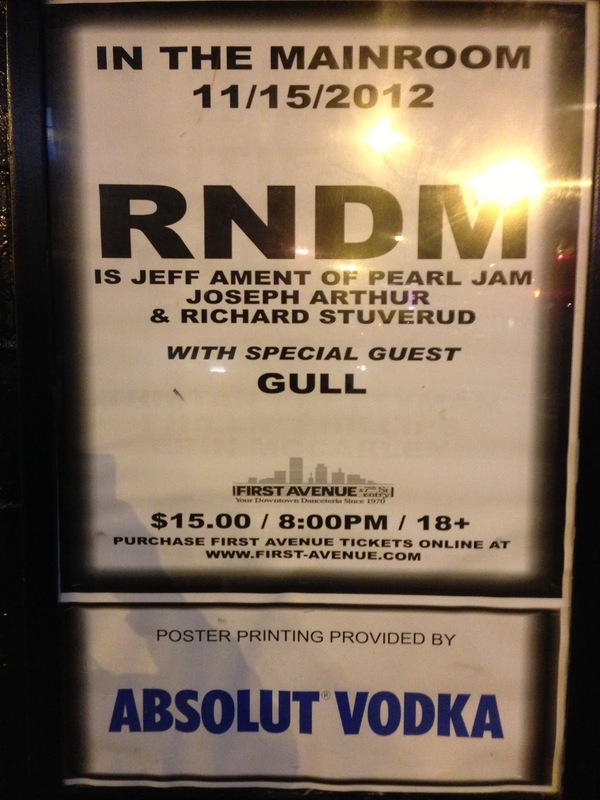 RNDM was one of those shows that I initially saw, and thought, "hey, it's got a guy from another famous band that I like, I wonder if I should go". That answer was, as it turned out, no. That was, until I got an email saying that members could go for free +1. I figured, well if it's bad, I didn't pay for it. So a friend and I went to check them out. Although I knew they were more on the pop rock side of things and that isn't necessarily my taste, I went in with an open mind. Turned out, I really liked them. As musicians, they were amazing so it was really cool to watch them play. The songs were upbeat and fun which made it a very enjoyable show. Also really cool (or not cool, depending on how you look at it) there was no one there. So we were standing about 2 feet from the stage almost dead center. 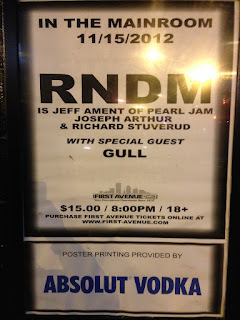 The opener, GULL, was also a real treat. He was a one man band, which when you hear that you think of a guy with a drum on his back and maybe a harmonica. He did in fact have a drum, but it was on the floor. He also had a guitar, a mic, a sampler, and a mask (not sure why). This would be one guy on the street corner I'd actually stop and listen to.